Honda’s are renowned for their reliability. From the V-Tec to the Jazz to the CBR, if there is one thing you can rely on, it is a Honda. This is one of the many reasons why I love their motorcycles so much. 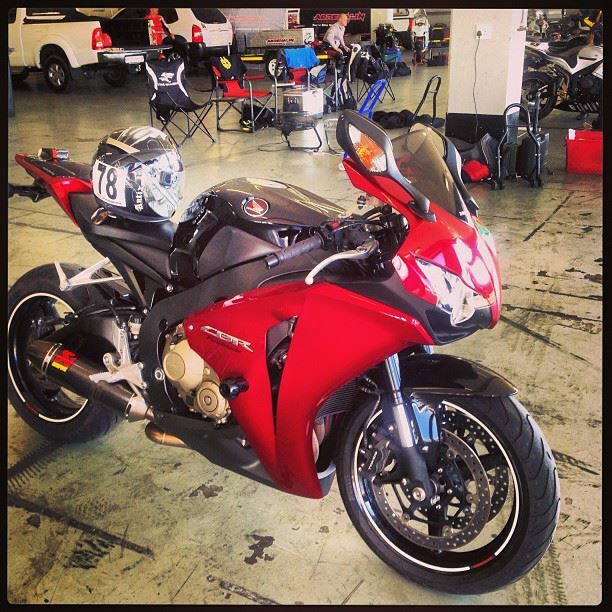 I have been fortunate enough to own two Honda superbikes, the 2007 CBR1000RR and the 2008 CBR1000RR. Although today the CBR is outdated, it is still a fantastic superbike that still runs with much newer rivals. Traction control, launch control, anti-wheelie, riding modes and a quick shifter, these are just some of the things you cannot expect to find on the current CBR. Clearly someone at Honda thinks their bikes don’t need traction control. The reason for this I suspect is that customer’s get the impression that if a bike comes standard with traction control they assume the bike is dangerously quick and unstable. Although I think that today, most motorcycle customers are educated enough to realise that traction control is an electronic gizmo that should be present on all superbikes. The reason I bring up the traction control topic is because of the following: On a chilly winter’s afternoon on Pirelli Angel GT tyres, someone on a MV Agusta Brutale decided he was going to take on the blade. As the red mist descended, I decided I needed to get a good start off the line. Once I had released the clutch and was through 1st and 2ndgear I decided not to be cautious when applying throttle and in an attempt to break the Brutale’s spirit, I cracked open my right wrist to the max. I was already nearing the top of third gear when all of a sudden the rear tyre lit up and the bike contorted as I tried to reign in the power. Needless to say I shot out of the seat but managed to hang on. It was a fun experience but not one that I am experienced enough to replicate unfortunately. The MV rider was impressed and I obviously told him I did that on purpose. I rode home with my heart in my throat and my hands clinging onto the bars like a monkey clings onto its mother. Once I parked the blade and thanked it for not killing me I wondered to myself, if there was traction control, there would have been a splutter from the engine and all would have been sorted. If this was a ZX10R, the ignition would have been retarded long before the rear lit up and decided to gloat to the MV. Having just mastered the supersport class this was an introduction to throttle control for me. No more winding the taps on unless all conditions are perfect. In a way not having traction control and ABS etc makes on a better rider, however there is no room for error. For a purist then the CBR is fantastic. One thing it could do with is a gear indicator as often I have no idea what gear I am in after losing concentration (Probably because of an attractive girl in the traffic). I am also a fan of the stylistic design of the CBR although beauty is in the eye of the beholder. If you tidy up the tail end, the CBR looks fantastic and matched with the shorty MotoGP – styled pipe, is a real head turner. As I mentioned in the beginning of my post, the best attribute of the CBR, aside from its power and looks, is its reliability. You can thrash the CBR all day and it will soak up the abuse. You can also leave the bike standing for months, turn the key and ride off into the sunset. This is something you don’t get with Italian manufacturers. The CBR will worm its way into your heart and stay there for a lifetime, consider this your warning. I cannot wait for the next CBR1000RR.